Catriona Rowntree has been a Travel Reporter on the Nine Network for over 18 years, roaming the globe reporting on inspired locations and amazing characters. She lives in Rural Geelong with her husband and two children - she is a passionate advocate for Landcare, Australian Wool, all things to do with women’s wellbeing. 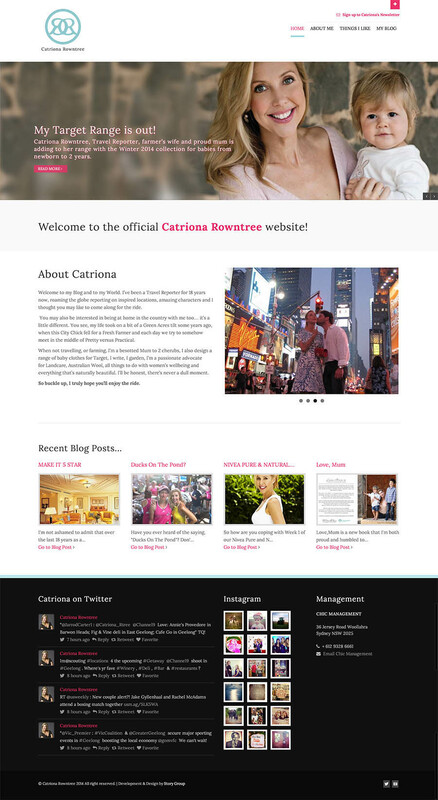 A prolific writer - Catriona's website promotes all her activities and gives her a platform to write and blog - and where her fans can comment and build a sense of community around her.